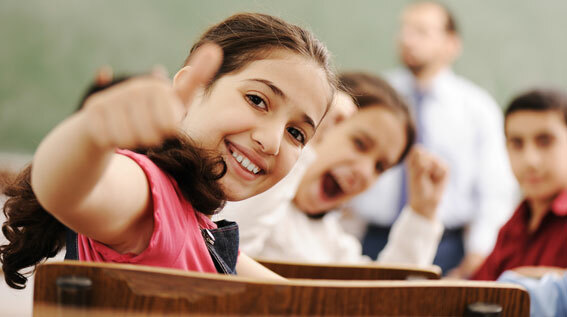 Are You Ready for Your Child to Get Fantastic Grades? If you are looking for the solution to your child's learning obstacles then you are in the right place. Get the Learning Success System today and get your child started on a bright future. Are you afraid that your child is going to quickly fall behind their peers? 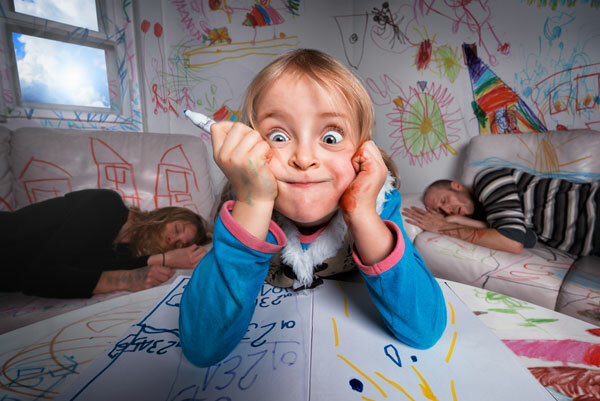 Is your child quickly losing steam? Losing self-confidence and beginning to wonder if they are “not-smart”? Maybe you’ve been dealing with this for a long time and it’s wearing you down. Do you spend so much time on homework that you are scrambling to get things done. Do you have no time for yourself because you are working so hard at helping your child? Has it affected your sleep? Your relationships? Skips Words - Loses Place - Letters Jump? Have difficulty sounding out words? Have fluency and pronunciation problems? Have difficulty with sight words? Loses skills you thought they had already learned? Are you afraid that your child will have a difficult time existing in this world without reading or spelling skills? Are you concerned that they won’t get a decent education? Or hold down a good job? Are you afraid they won’t be happy and successful? Are you tired of dreading report card time? Or parent teacher conferences? Do you hate to hear other parents brag about their children? Getting tasks done on time? Are you just plain tired of the struggle? Do you want it fixed? Do you just want this behind you? Have you had difficulty dealing with the school system or finding a solution? Well, it’s not your fault. The school system is not designed to help those who learn differently. If a student’s learning style doesn’t fit, they just fall through the cracks. They may graduate. But without an education. There is a solution. And it’s actually quite easy. There is a large and growing movement of parents who have found the solution. The Learning Success System is easily done in the comfort of your own home. It brings the combined knowledge of teachers, educational therapists, psychologists, mind-body and proprioception experts, nutritionists, and motivation experts right to your fingertips. 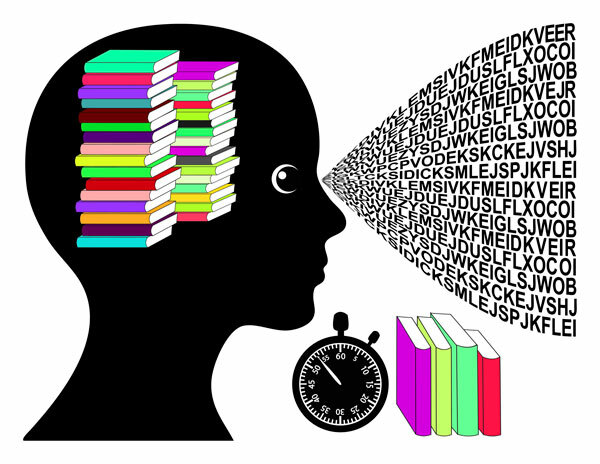 No other system combines the expertise from these different fields to come up with a complete solution that solves every aspect of a reading difficulty. And it improves more than just reading. It enhances math skills and writing skills as well. It builds your child into an overall better learner. This is not more reading practice. It's not more of the same. The Learning Success System gets to the core of the problem. Quit beating your head against the wall (and your child's) by more and more homework. Get to the underlying problem and fix that instead. Anything else is just a band-aid. When you fix the core problem, everything else becomes so much easier. 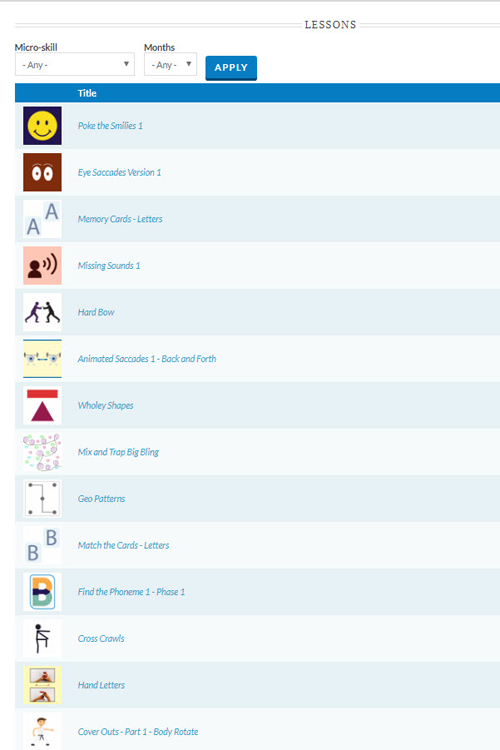 Learning Success Online Portal - All of the exercises neatly organized in our online learning portal. Sort by exercise type to get exercises suited to your child's needs. Daily Instructional Emails - We keep you on track with our daily instructional emails. Each email introduces the next exercise, explains the exercise, and explains the purpose of that exercise. Helping you to easily understand how to help your child. Video Explanations - Each exercise comes with a video tutorial. Explaining exactly how to do that exercise. This makes it very easy to follow and do. New Exercises Added Monthly - Each month, for a year, we add a new set of exercises to your account. Your account is always fresh with new and fun exercises. Member Forums - Interact with other parents helping their children. A lot of great things happen in our member forums. Access to Learning Professionals - Our team members are here to help. They'll give professional advice in the expert forums. Ask a question and get it answered by a professional. Exercises come in a variety of formats. Some are videos which you follow along. Some are game-like animations. Some are downloadables. Some are audibles in which you follow along with. All are easy and well explained. Making it very easy for you to understand and do with your child. I hear it every day. I hear about the endless struggles. And the heartbreak. Parents just want to help their children. And they'll do anything to help their children. But so often they try all the wrong things. Wasting time and wasting money. Wasting lots of money. Did you know that many Learning Centers charge more that $1200 per month? And every time you try one more thing that doesn't work, your child's self-esteem crumbles. Think about it from your child's perspective. If you've done "everything" and they are still struggling. Then they will just assume that they are stupid, and give up. They'll reach a point where they refuse to do anything. That's why it's so important to use the right solution from the start. Don't go down the slippery slope of ruined self-confidence. If your child is already acting out and using avoidance strategies STOP NOW and get on the right path. Don't reach a point of total rebellion. And if you are already there you need to back up. Get back on the right path. Just getting by is not a solution. Graduating with a diploma and no education is not a solution. It’s not a winning proposition. It’s a losing proposition. No employer wants to hire someone who can’t read. Not for any job you’d want to work in anyway. “But I have a diploma” will mean nothing to that employer. Why should they care? Kids graduate without being able to read all the time. And that isn't good for anyone. There are two major reasons why many programs fail. A lot of programs are just more of the same disguised in a different way. They are either more academics or a copycat of the Orton-Gillingham method. The Orton-Gillingham program was first used over 90 years ago. And nearly every program out there is a copycat of that program. Neuroscience has come a long way since then. Yet most programs use techniques from the early 20th century. 2) Only working one aspect of the problem. We’ve identified 8 major dimensions, some with subcategories. If you are only doing one or two of these dimensions you will have very little success. You need to cover every aspect of the problem. The Learning Success system covers all 8 dimensions. To cover all of the dimensions we assembled a team. 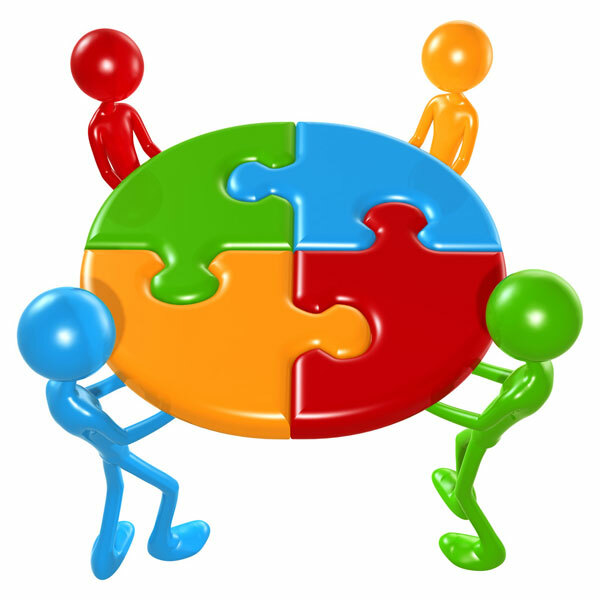 Each member having expertise in one or more dimensions. It’s this well rounded, holistic approach that works. Members of the team have expertise in the following areas. It’s this multi-pronged approach that makes the Learning Success System unique. We attack the problem from all angles. Just like fighting a battle, we do not go in with just the ground troops and get slaughtered. We go in with support from all of the forces. And with the Learning Success System, you will too. Don’t get slaughtered by using a single approach. What Can the Learning Success System Do For Your Child? If your child is struggling with reading they are suffering. For them reading is torture. They are working very very hard with little or no results. They feel as if they are going nowhere. Lot’s of effort, no reward. But once you work on these micro-skills, then you drastically increase reading ability. Reading becomes easy. And when it’s easy it’s fun. Once a child is capable of reading well, they are often eager to discover all the exciting new worlds that reading has to offer for them. Children love to read. Look at the popularity of the Harry Potter books, and all the other great children's book. That popularity is a testament to the fact that children love reading. Or what about the things your child does enjoy? Maybe it’s dinosaurs or sports cars, or bugs, or video games, the list goes on, but the point is that once your child enjoys reading, these worlds open up to them. And that makes for a happier, more well-rounded, child. Which, I’m sure, would make you happier also. Reading shouldn't be hard labor. When reading is difficult, it is slow. Building up the micro-skills takes those shackles off. And when that happens your child will be off and running. Faster reading speed means less time spent on homework. Every subject requires reading in one way or another. So when you increase reading speed you save time across all subjects. That means more play time for your child. And burning off energy with play time actually, increases learning ability. Not only is the exercise good for them, but it’s good for their brain. It relieves stress, so they are not only healthier but happier also. Dumping all those nasty negative emotions that have been holding them back. It’s a virtuous circle. Faster reading equals more time. More time means more time spent on the fun things. That means a happier healthier child. Which means increased learning ability. And a happier healthier child means a happier healthier you. When reading micro-skills are weak, your child has to work so hard at the words, that comprehension is non-existent. Their brains are struggling so hard that they can’t grasp the meaning of the words. Especially when visual memory and auditory memory are weak. When you improve these micro-skills, you set your child free from the bonds of reading difficulty. No longer are they bound and held back by the struggle, but set free to actually comprehend what they are reading. And reading without comprehension, well, what’s the point? But once comprehension is available to them, well that changes everything. No more reading it over and over to try to understand. Get it, and understand it the first time. You don’t have to keep quizzing them and explaining each little part. You’ll just smile when you hear them read to you and then promptly explain to you the meaning of the story. When the micro-skills are weak. Reading is sooooooo tiring. It takes everything to just get through it. It might create headaches and eye strain. But once you fix the micro-skills, reading is a breeze. And when your child enjoys reading, they will read more. Once they catch the bug of learning, there’s no stopping them. They’ll be off and running with all the energy they need to complete their studies. How will that feel when you don’t have to help them through the littlest things? Once they can do it on their own? Reading affects all subjects. When reading is difficult, all subjects suffer. Improve reading and you improve all grades. What would better grades feel like? Who would be happier? You’re child? You? Grandparents? Teachers? Your whole family? How would it feel to know that your child is on the right path? The path to enjoying reading. The path to a good education. The path to a good career. The path to being happy and having a happy family of their own. With happy grandkids for you. Good reading skills means being at grade level or above. How would it feel when your child is ahead of the class? Enjoying school and gaining self-confidence. Increased self-confidence leads to a lot of great things. Like being more creative. Like being more independent. Getting things done on their own. Self-confidence is the key to a happy and productive life. The avoidance tactics will be gone. No more tantrums, crying, acting lazy, or shutting down. And no more feeling stupid. Reading skills gives your child the ability to really learn. Really learning and getting a good education leads to a better future. Think about your child’s future. Wouldn’t that be great to one day see them in a financially rewarding and satisfying career? With a happy family? You can look back on today and be thrilled at the choice you made. The choice to help your child become a great reader and a successful learner. How will you feel when that day comes? Visiting your grandchildren in their beautiful home. 1) Immediately upon purchasing you will be given access to the member's portal. In the lessons section of the portal, you will have access to your first month's lessons. This is to give you easy access to all of the lessons and keep things organized. 2) Each day you will receive an email. That email will tell you which lesson to do and provide further instructions for that lesson. 3) Each lesson takes approximately 2-3 minutes. Some will be very easy and some will be slightly more challenging. If a lesson is extremely easy you just do it a few times over a few days and then move on. If a lesson is more challenging you will continue to do that lesson each day until it becomes very easy. By doing the above you will be building up a daily routine. That routine should last for about 15 minutes. If it is less than that you will add more lessons into the routine. If it starts to get longer you stop adding lessons to the routine until the ones you are working on become easy and you can move on. This process makes for an ever-changing routine that your child will enjoy. Most children find it very fun. Since it is nothing like school work they often consider it a game and have fun with it. You also get immediate access to the member forums where you can ask questions of other parents and our experts. These small, easy exercises build up your child's natural learning ability over time. This makes school work easier for them. As their skills build homework resistance fades and grades improve. 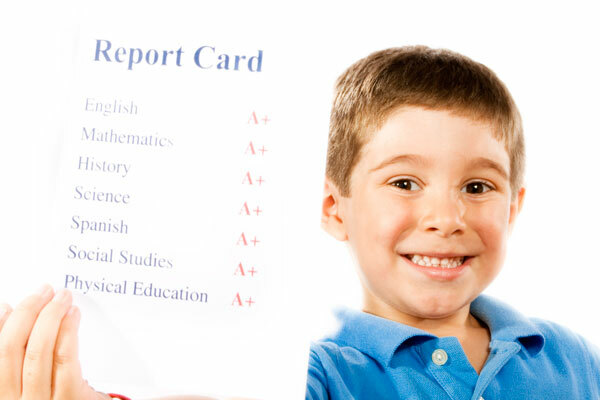 Once your child regains their confidence and has built up their learning skills they will begin to excel in school. Catching up to and often surpassing their peers. Your child is either moving backward or forwards. When there is a learning struggle things can go from bad to worse quickly. Every day is a new risk that your child will have that moment that is just too embarrassing and frightening to handle. Every day this goes on your child slips further and further into lower self-esteem, more frustration, and more fear. Making it harder and harder to recover. Go too long and the chances of turning this around become slim. So it is critically important to act fast and get your child on an improvement path today. Letting it go another day just makes it harder on your child. Every day that goes by is painful for your child. Act today and get back your happy smart child. Click the button below and get started. You'll get immediate access! I can't wait to see your child on the path to success. Our guarantee. Try the program and if you do not see an improvement in your child simply send us the completed worksheets and we will issue a full refund. Simple as that. Act now to get these free bonusses. It's important to have expert help when you need it. So we set up a private members forum for you to ask questions. You'll get answers from our experts and also from other parents who are working through the same things as you. Our experts not only have a lot of knowledge, but they have been through this as well. So they understand what you are going through. The program is designed to build up all micro-skills. However extra, dyslexia specific, exercises are added so that if dyslexia is a known issue you can focus more on those exercises. Specific exercises treat all forms of dyslexia including phonological, visual, and directional. Easy exercises that develop all of the micro-skills typically weak in dyslexics. Specific exercises help with math micro-skills such as visual memory, visual memory manipulation, and visual discrimination. Easy exercises treat all of the micro-skills typically weak in dyscalculics. Handwriting is important to learning. Developing the connection between the brain, the eyes and the hand is critical. It will help in other areas. And because there is less and less focus on this in school, we feel that it is important to get practice in this area. So we have added lots of extra handwriting exercises. Brain balancing exercises are beneficial for everyone. So we've thrown in a complete series of them. Whether its a quick question or a deeper discussion, having an experienced professional to ask can make all the difference. Our members forum is the perfect place for that. Ask a question and one of our professionals will be there for you. Our team members regularly frequent the forums looking to help our member parents. Sometimes you want to just chat with other parents going through the same thing. Or ask a quick question. We have found that our private facebook group is perfect for that. It’s easy and quick for when you just want a quick check in, or want to hear how others are having big successes with the program. We want to keep you on track. Email is a great way to do this. The emails not only remind you that it's time to login and do an exercise, but they also provide more detail on the purpose of each exercise and how to do it. Our members have told us they love this bonus because it keeps them motivated and on track. If you'd rather keep your question private you can do that too. We provide you with unlimited email support. That's right, Email anytime and one of our professional learning specialists will answer your question. We know that having a child who is struggling is difficult. It's hard to know what to do. So we're here to help. Kung Fu is where it all started. That's where we realized the benefits of cross lateral coordination exercises as well as confidence. I retired from teaching kung fu after 20 years. Since we knew how important these classes were to kids we filmed our beginning kids kung fu course and put it in the program as a bonus. These classes have been extremely helpful for a lot of kids. They could be helpful for your child as well. Okay, this sounds like an out of place bonus, but trust me, it could be helpful. Back in the 90's we filmed an exercise video. It was a hit. We then got lots of emails from people telling us their kids loved it. That wasn't the intent but what the heck. It's full of cross lateral coordination exercises. So if they want to do it let them. It's great exercise and a great brain exercise too. Everyone child is different. As you do the program you will start to realize patterns. The micro-skills that have been holding you back will become obvious. At this point you will want to concentrate of those skills a little more. We provide extra exercises in each category to allow you to customize to your needs. This will also help you if you need help in other skills such as math or writing. With this ability to customize you can use the Learning Success System to improve skills in all areas of learning. I can't say what this is because when we release it in the next couple months it will be a new product. If you purchase now we're throwing it in as a bonus. Don't miss out because as soon as it's released it will only be available as a separate purchase. You are going to like it. A lot! Get this program now because this bonus is only available for a short time. We are only making it available as a bonus for those that purchase now. Once we release it as a product we'll have to charge for it. I can't say what this one is either because when we release it in the next couple months it will be a new product. If you purchase now we're throwing it in as a bonus. Don't miss out because as soon as it's released it will only be available as a separate purchase. You are going to like it. A lot! P.S. Waiting is the worst thing you can do. Every day that goes by will eat at your child's self-esteem. Every day has a chance of being that day that embarrasses them so badly that they write off school forever. Every day counts. Get started today.